With easy access to the 405 freeway, this business centre is offering modern high spec offices with state of the art facilities such as high speed internet and other technology facilities. 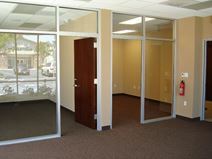 These office suites have been tastefully designed with numerous luxurious furnishings and fixtures. The locality also benefits from excellent transportation infrastructure, which makes the building easily accessible from far afield. Wonderful amenities and famous eateries conveniently in this Fountain Valley and Huntington Beach Services include free internet, cleaning and huge LED TV. These are modern offices are have excellent network access and highly decorated lobby areas offer state of the art alarm, security systems and high standard furniture and tasteful restrooms and kitchen.